I have a beautiful blue tortie point Siamese girl kitten available in August. She is the last of Emunah's litter to find a loving home of her own. Bunty is a very confident naughty little kitten with a lot of love to give. She has been brought up in my family and likes to be involved in everything. Bunty especially loves to cuddle up under my chin and purr loudly. She has her favourite toy mice that she chases round growling to herself and she has been known to try to climb the houseplants! Bunty would love a knee of her own to snuggle on and would be an affectionate and loyal companion. 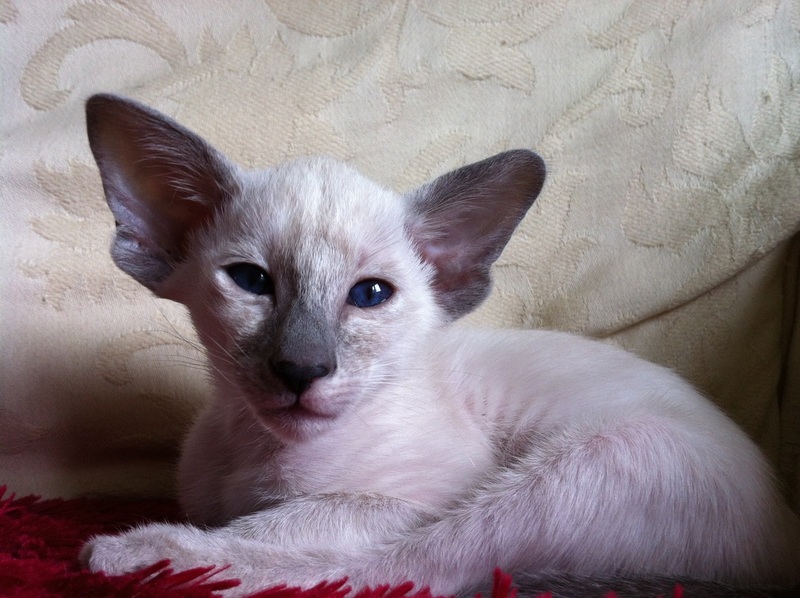 I have a small family cattery breeding and showing Siamese cats based in Newcastle upon Tyne, North East England. 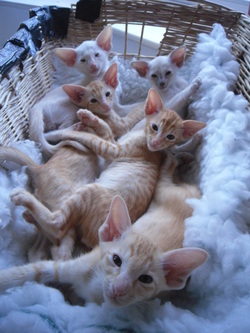 My kittens are bred for health, temperament and type and I specialise in red and tortie point Siamese. 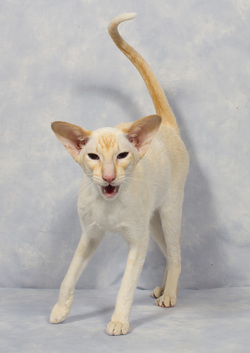 My prefix, Riobelle, is registered with the GCCF and I am a committee member of the Northern Siamese & Oriental Cat Society, and a member of Northern Counties Cat Club, Transpennine Oriental and Siamese Cat Club and Durham County Cat Club. I enjoy exhibiting my cats and often work as a judge's steward at cat shows. I have had Siamese and Oriental cats since being a child and have always wanted to show and breed these beautiful and intelligent cats. My prefix, Riobelle, is the pedigree name of my first Oriental cat; a chocolate smoke girl. When not breeding and showing cats, I work as a nursery teacher at a primary school and enjoy spending time with my son and family as well as my household cats. All my cats live as part of my family and are raised indoors with access to a safe outdoor run. Riobelle Siamese are delighted to be part of the GCCF Responsible Breeders scheme. This means we maintain very high standards in terms of kitten welfare and are dedicated and caring breeders of Siamese cats. As well as working to a strict Code of Ethics, Riobelle Siamese are also endorsed by our veterinary surgeon as having a high standard of cat health and care. More information about the breeders scheme can be found here. I hope you enjoy finding out about my cats. Please leave a message in my guestbook and I look forward to hearing your comments. Click on the picture on the right to open my guestbook.